Fabricio Werdum (pictured) and Mark Hunt will enter the octagon Saturday, and one will leave with the UFC heavyweight belt wrapped around their waist. If I would have written that sentence in 2008, keyboard warriors from across the globe would have bombarded me with emails telling me how much of a moron I am. Werdum had just been released by the UFC after a TKO loss to Junior dos Santos because he refused to take a pay cut for the remaining four fights on his contract. Hunt, meanwhile, was in the middle of riding a six-fight losing skid into get-a-different-job-ville. It’s hard to believe the journeymen are now on the doorstep of donning the most coveted prize in all of MMA. How did they manage to turn their careers around, you ask? Throw in some upset specials, submissions, walk-off KOs, KFC, some luck and you have your answer. 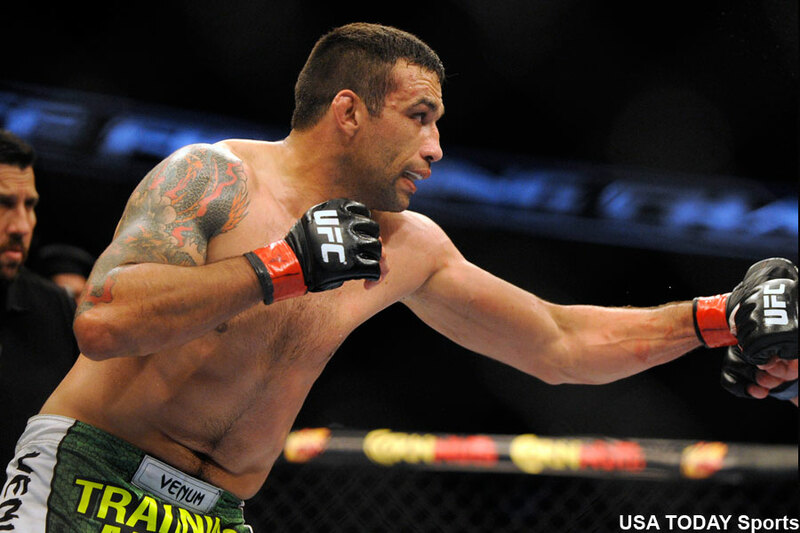 Following his UFC departure, Werdum rattled off three straight wins in Strikeforce, which was capped off by a shocking victory over Fedor Emelianenko, who at the time was widely regarded as the game’s baddest heavyweight. After a decision defeat to Alistair Overeem, Werdum was brought back to the big leagues courtesy of the UFC’s purchase of Strikeforce. “Vai Cavalo” has since won consecutive scraps. Hunt finally found his way to the UFC in 2010 after making a name for himself in Japan’s top organizations. However, it’s not as though UFC president Dana White actively sought out Hunt’s services. White offered to buyout Hunt’s contract and let him walk when the UFC acquired Pride FC. Hunt, who had a 5-6 record and lost five straight at the time, wanted no part of that and said the only money he wanted was the kind he earned. While Hunt presently owns a mundane 10-8-1 pro mark, three (T)KOs, an instant classic draw against a testosterone-infused Antonio “Bigfoot” Silva and a highlight reel knockout of Roy Nelson in his last outing was good enough to earn the self-proclaimed “KFC King” a crack at the UFC crown when champion Cain Velasquez was forced to pull out of his bout against Werdum with a knee injury. And there you have it. Two guys the UFC didn’t want at one point in their careers will get the chance to become their champion – albeit an interim champ – come Saturday. UFC 180 takes place inside Arena Ciudad de Mexico in Mexico City.